If you’ve been feeling tooth pain or sensitivity, especially when you consume hot or cold foods and beverages, chances are that you have a cavity! Without treatment, decayed or damaged teeth can easily cause more oral health problems and higher dental costs later down the line. Luckily, you don’t have to settle for silver fillings like you may have in the past. Dr. Matthew Nawrocki uses tooth-colored fillings to fill cavities and protect teeth for years to come! 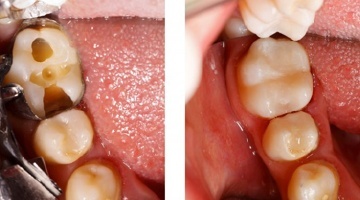 Tooth-colored fillings are made from composite resin. Composite resin is a highly biocompatible, putty-like material made from glass and plastic. When mixed together, it can be blended and shaded to match your tooth exactly, making it indistinguishable in your smile. For years, patients and dentists believed that composite resin couldn’t stand up to the strength and durability of amalgam. 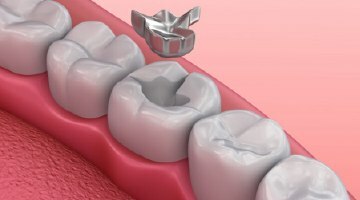 Unfortunately, amalgam requires a small amount of tooth to be removed in order to create a wedge that holds the filling in place. As a result, this drives the tooth further apart over time and only causes more damage in the long-term. Fortunately, after much research and consideration, we can say with confidence that tooth-colored fillings are not only just as strong as amalgam, but allow your dentist to retain more of the tooth’s natural structure. If he has the option to keep more natural tooth intact, your dentist in Orange Park always takes advantage of it. Tooth-colored fillings are extremely convenient to place because they only require one visit to do so. To start, Dr. Nawrocki numbs the area around the tooth using a local anesthetic, then removes any damaged tissue or tooth. After placing a liquid that makes the tooth more porous and susceptible to bonding, the cavity is filled with the resin and shaped into place. 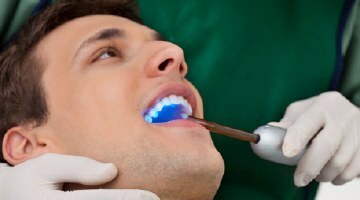 Once properly shaped, your dentist uses a curing light to harden the material instantly. Making your filling last requires no additional at-home care than natural teeth. By committing to brushing twice a day with fluoridated toothpaste, flossing daily and biannual dental visits, your repaired smile will stay healthy. Just make sure you’re using a soft-bristled toothbrush and not using any heavily abrasive toothpastes. In some cases, patients may want to switch to a dental floss that doesn’t shred easily, such as waxed or monofilament floss. Got a cavity to fill or amalgam fillings to replace with a more tooth-colored solution? Contact our office today to get your tooth-colored fillings in Orange Park!